If you are a city dweller, you might have thought of moving to the countryside to enjoy a quiet life in nature. It seems to be a trend nowadays that more people, whether retirees or city dwellers, are having a country house not necessarily as their main residence but as the second home for weekends and holidays. If you are considering a ride on the same wagon, you need to pay attention to Dream & Love Housing. Dream & Love Housing was established in February 2015. Starting with 12 blocks of town houses worth 2.4 billion won in Seogwipo, Jeju and 60 houses nationwide, the company proved its capability by building 300 country houses for the next 4 years. With only 50 million won at hand at the initial stage of the business, the company made the total 50 billion won sales last year. The company swept numerous prizes such as the Brand Awards and the Korea Future Management Awards in 2016 and became a permanent member of the Korea Wood Construction Association alongside achieving the credit rating A0 ‘SB2’ in 2017. December last year, Dream & Love Housing was approved as the Venture Enterprise by the Korea Technology Finance Corporation and in November the same year as an affiliated research institute by the Korea Industrial Technology Association. As a result, the company can enjoy reduced corporate tax, income tax and property tax with financial support for credit guarantee. 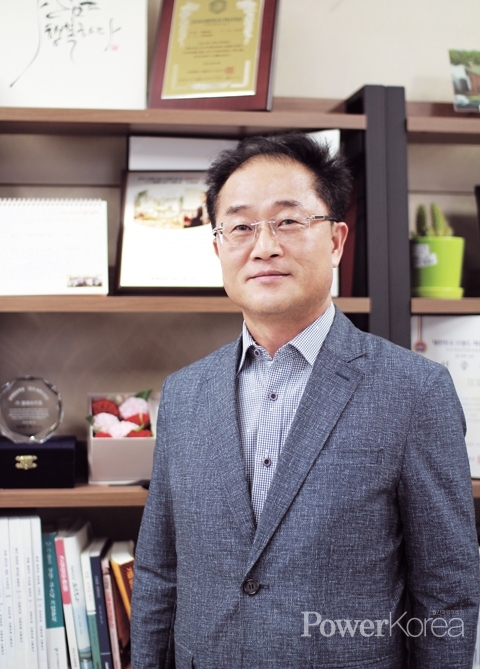 “The Dream & Love DesignLab is realizing a variety of eco-friendly themed country houses so that the residents can enjoy a healthy and convenient living environment” says CEO Kim Nam-yoon. Kim has 10 years of experience in the field and is well known for his professionalism that is melted into the whole process of construction from licensing to design and completion. 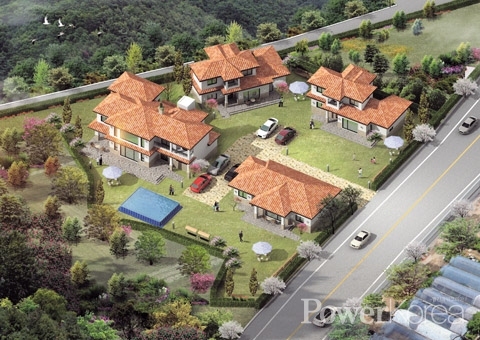 The number of licenses issued for detached country houses in Korea has been around yearly 50,000. The market is growing and so is the competition. Dream & Love Housing jumped into the field relatively recently but has made a strong presence in the market. And Kim ascribes his success to his principle of trust and responsibility. Kim started to work for Noblehouse at the age of 42 and built extensive knowledge on analysis of land, licensing, budget and construction for the next 8 years. When he retired, his colleagues and business acquaintances encouraged him to start his own business and he eventually decided to do so. February 2015, he established Dream & Love Housing. He started with just 50 million won and 6 staff but surprised the people around by making 3.6 billion won sales in the year he opened his business in 2015. The sales went up to 11.1 billion won in 2016, 13.4 billion won in 2017 and the ‘wow’ 16.3 billion won last year, totaling a building of 300 houses with 50 billion won sales for the last 4 years.